Kari Lynn Dell is a native of north central Montana, a third generation ranch-raised cowgirl, horse trainer and rodeo competitor, most recently the 2013 Canadian Senior Pro Rodeo Association Breakaway Roping Champion. She attended her first rodeo at two weeks old and has existed in a state of horse-induced poverty ever since. She currently resides on the family ranch on the Blackfeet Reservation, loitering in her parents bunkhouse along with her husband, son and Max the Cowdog, with a tipi on the front step, a view of Glacier National Park from her writing desk and Canada within spitting distance. 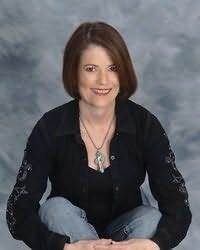 Come visit at KariLynnDell.com, hear what's next on the publication front, learn firsthand about ranch life on the east slope of Rockies and laugh at the tales of woe and wonder that come with living on the norther frontier. Really, someone should be filming this stuff. Occasionally, we do.